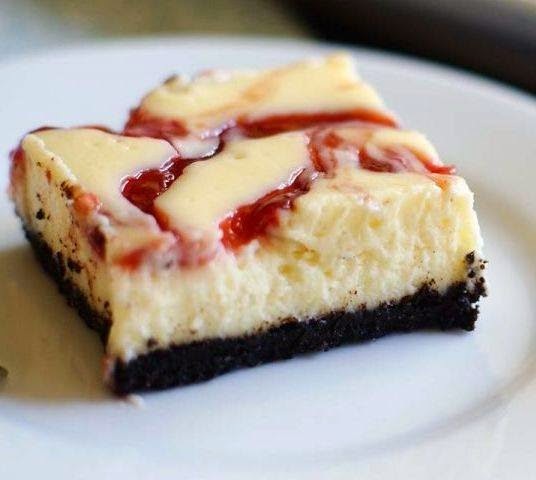 Beat cream cheese for 2-3 minutes until softened and fluffy. Add in sugar and beat until well combined. Beat in eggs and extracts on low speed until incorporated, scraping sides and bottom of bowl as necessary. Pour batter into pan. Use an offset spatula to spread evenly.